Baby's first red plastic sippy cup! Invite baby to the party with this ultra-fun designed sippy cup. 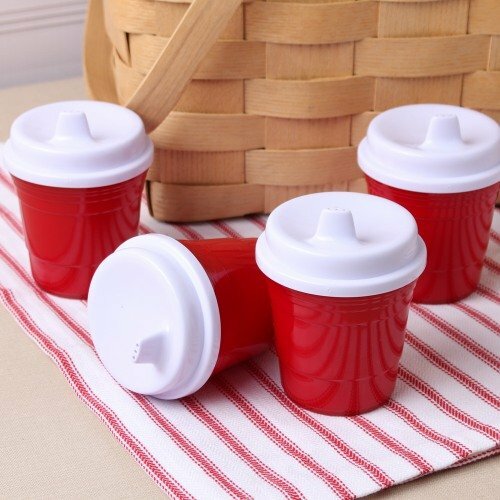 Made of break-resistant, double walled plastic, this FDA approved sippy cup features a screw on cap and is both spill and leak proof. Makes for a funny party gift that's also functional!